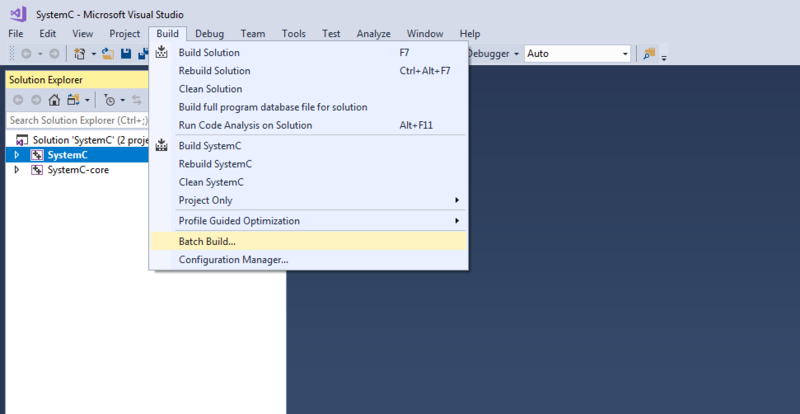 The easiest and probably best way to develop SystemC and SystemC-AMS applications on Windows is to use Visual Studio. SystemC 2.3.2 library can be downloaded from Accellera's website while SystemC-AMS PoC 2.1 (Proof-of-Concept) can be downloaded on Coseda's website. Extract the SystemC package and open the file msvc10\SystemC\SystemC.sln. In VS 2017 it will ask to update the project. Just press OK. 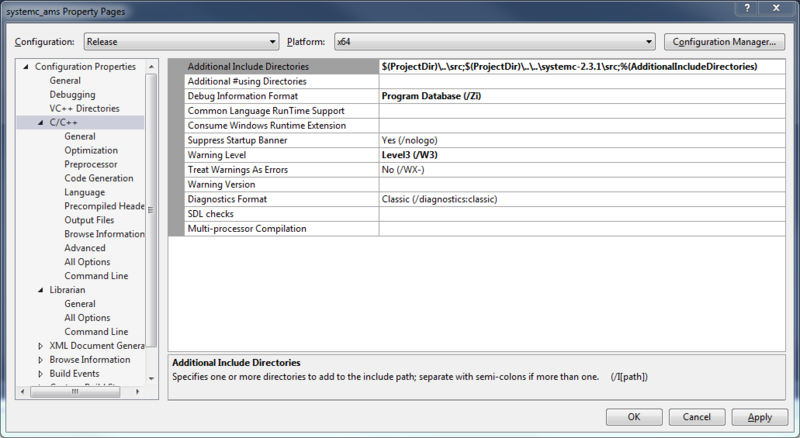 Figure 1: Batch build option. Select the configurations. 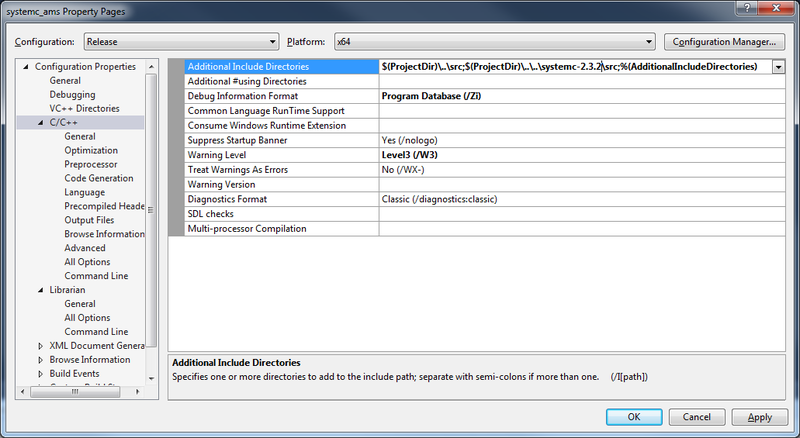 I use only the "Release x64" but other options can be used depending on the needs. And then just press Build. For SystemC-AMS the process is similar but the locations of the SystemC library include files and libraries need to be updated. Open the file msvc80\systemc_ams.sln. In VS 2017 it will ask to update the project. Just press OK.
Go to Project > Properties. Select target configuration. This process need to be repeated for all the required targets. Figure 3: Additional Include Directories (original). Figure 4: Additional Include Directories (corrected). This assumes that both SystemC and SystemC AMS share the same root directory. If not, update the directories accordingly. 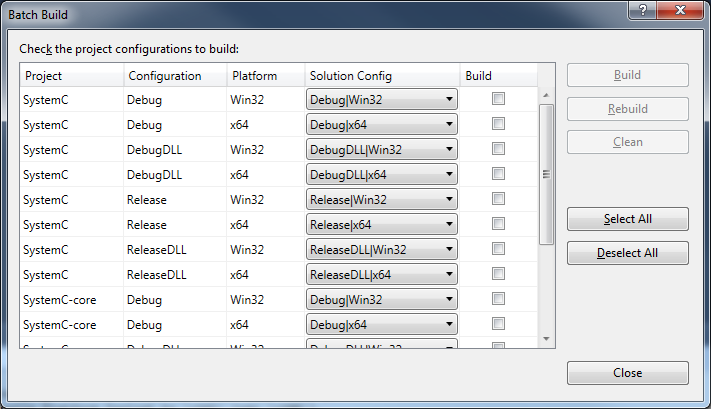 Then just go to Build > Batch Build, select the desired targets and press Build.